Mounting over the warm as well as dusty Maasai Steppe in Tanzania’s northern part is a Mount Kilimanjaro whose peak is covered with snow barren against the beautiful blue sky of Africa. The Kilimanjaro is the highest mountain in the whole of Africa, as well as the highest self-supporting mountain internationally. Located just three degrees beneath the Equator with its snow capped peak, the mountain can be seen over 100 miles from its location on any clear day. Kilimanjaro is actually not a very old mountain, about one million years back there was almost certainly a big river where this mountain stands today. 2 or 3 million years back, The structuring of the Great Rift Valley left very deep fractures within the crust of the earth, and ultimately several volcanoes bust through in this Kilimanjaro area. 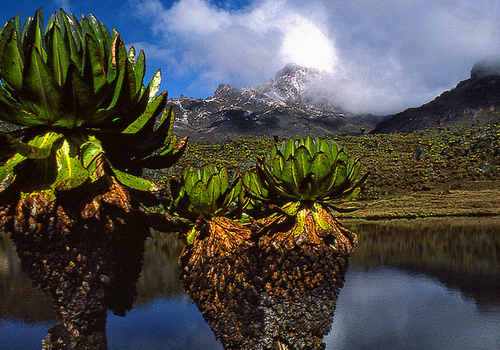 The Mawenzi, Shira and Kibo bust through the crust to a height of close to 16,000 feet, and extended to the east, west and southern direction to approximately 40 miles. The Shira later became extinct and buckled into a Caldera. The eastern and northern side was roofed by new eruptions by the Kibo and the rest was worn-out forming the present-day plateau which is at a height of 13,140 feet. The Mawenzi as well as the Kibo further grew to a height of about 18,000 feet. The Mawenzi was the first to become extinct, and its center collapsed just as that of the Shira. In a severe explosion the whole eastern edge ruptured releasing debris plus water over an expanse of more than 400 miles, resulting into a stunning gorge. The Lava that was oozing through the cracks formed dykes which created the rough outline of the Mawenzi and its peak reached 16,890 feet. 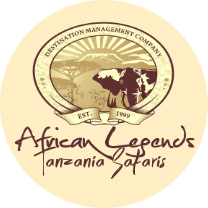 Tourists that visit Tanzania to climb Mount Kilimanjaro will be astonished by the continuously changing vegetation. Unique about this mountain is that it has various vegetation zones each at varying altitudes and with differing plants species among which are flowering plants, trees and shrubs. These offer habitat to the different animals that live on this mountain. Each of these vegetation zones occupies approximately 3,280 feet /1,000 meters in altitude. Generally for each 656 feet / 200 meter rise in altitude the temperature drops by around 1’C. From approximately 16,400 feet / 5,000 meters, there are freezing conditions. Almost the only source of water is the melting snow or ice, and the Oxygen level is half that found at sea-level, while the sun radiation is intense. The only existing vegetation here are Lichens which grow quite slowly, to approximately 1mm annually and these can exist for hundreds of-years. The lone lives that can manage existing in these extreme conditions are a small number of spiders that survive on insects blown by the wind. The peak is actually a crater which previously was a round-dome that later collapsed. Within this an interior crater – the “Reusch crater” which is actually a cone that rises to 390 feet beyond the Gillmans point. The deposits of hot gases plus yellow sulphur illustrate that this volcano is not inactive. The Kilimanjaro offers its visitors a number of routes which accommodate all types of physical fitness. Below are a few highlights of the different route that you can take in an effort to summit the mountain. This route is the most traveled with about 90% of all the hikers ascend the mountain using it. Despite its popularity the route is extremely impressive. Accommodation is offered in huts which offer basic shelter. The Machame Route; this is more demanding however with less travelers yet very scenic. Accommodation is offered in tents within the small set camp, and these are carried by the escorting porters. Other routes include: Shira Route, Umbwe Route and the Rongai Route.